The hotel is hip, modern, the hotel staff is warm and informative and all the amenities you want or ​need are​ readily accessible​ on site. The restaurants and bars are terrific but the room service is even better. My smashed avocado on sourdough was my favorite breakfast of all time. Thank you Mondrian for that introduction! My suite was beautifully appointed with every need anticipated. The bathroom was huge with a free standing tub. My furnished view terrace on the River Thames was shimmering in candle light on my return home in the evening. The bathroom candles had​ also been lit-a lovely welcome. The 2 flat screen TV’s were available, but I just enjoyed the view instead sipping out of my cut crystal glass. My early morning stroll along the Thames River perfectly punctuated the end​ of my stay at this extraordinary hotel. The Mondrian afforded me a lovely experience this Fall, which I do not hesitate to recommend to other travelers seeking a cool oasis in cosmopolitan London. 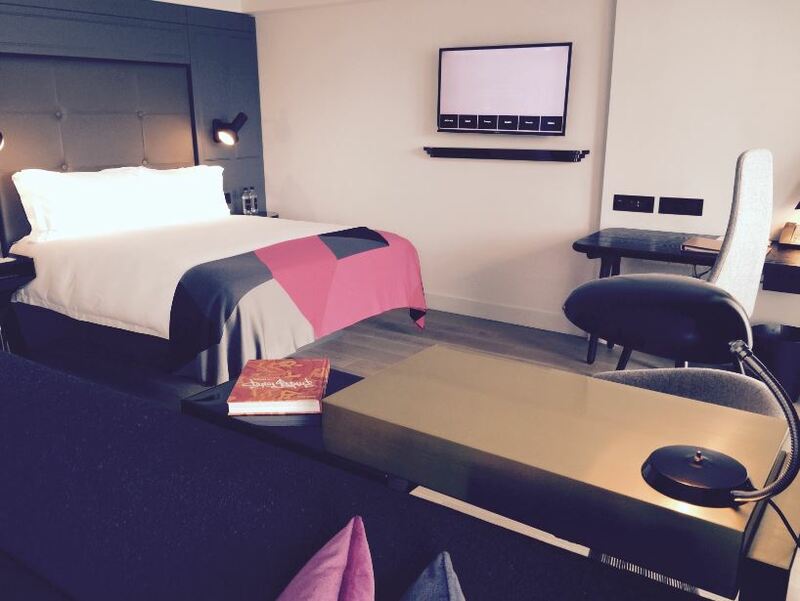 Global Adventuress thanks Mondrian Hotel (Morgan’s Hotel Group) for hosting us during our London visit.